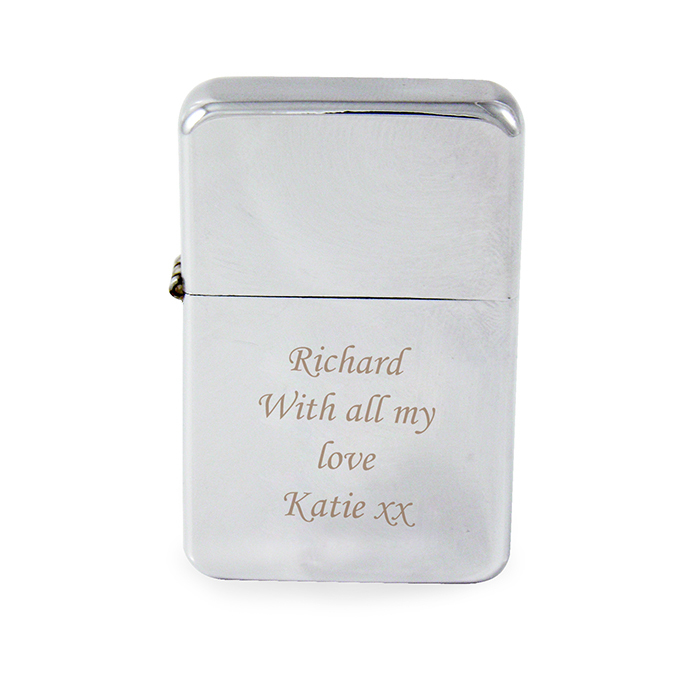 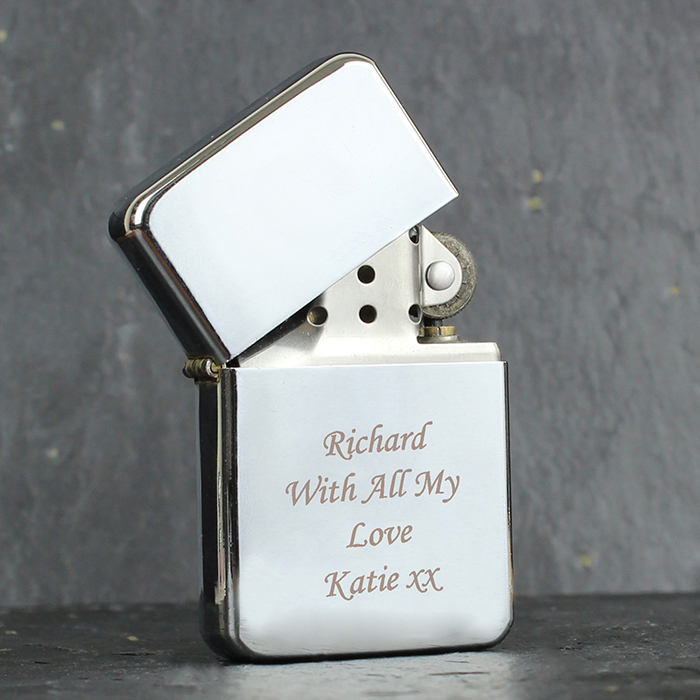 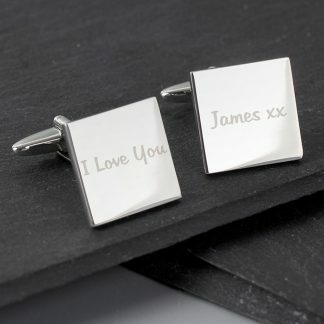 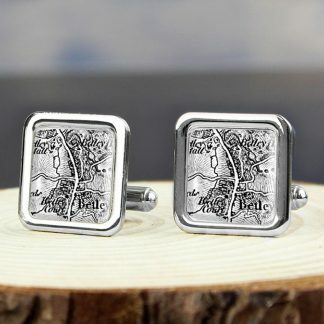 Personalise this Silver Lighter for a special occasion, that's a practical gift too! You can personalise the lighter with a message over 4 lines. For safety reasons lighter fluid not supplied.